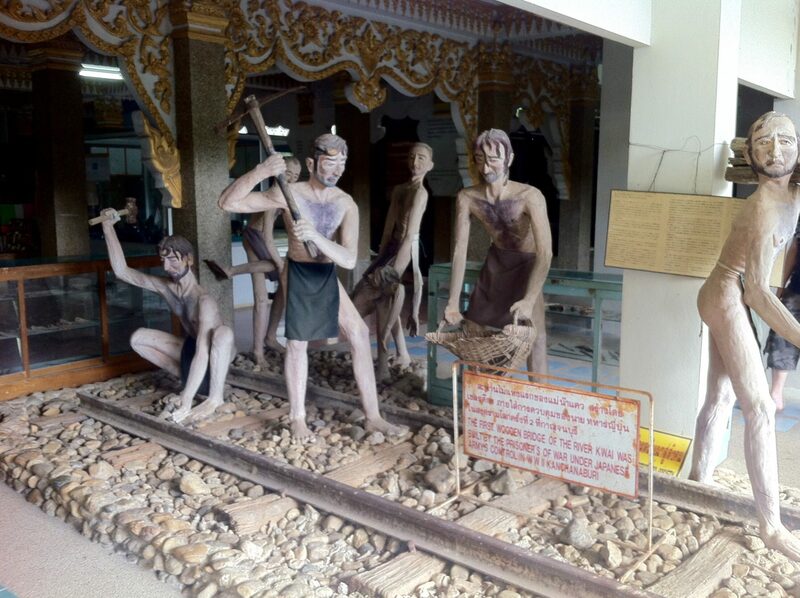 50m from the River Kwai bridge situated ART GALLERY & WAR MUSEUM for visitors to see historic World War II, machines, skeletons of prisoners and photographs of war events, vehicles used and other old accessories. A Japanese locomotive was placed in front of Museum with Japanese flag. 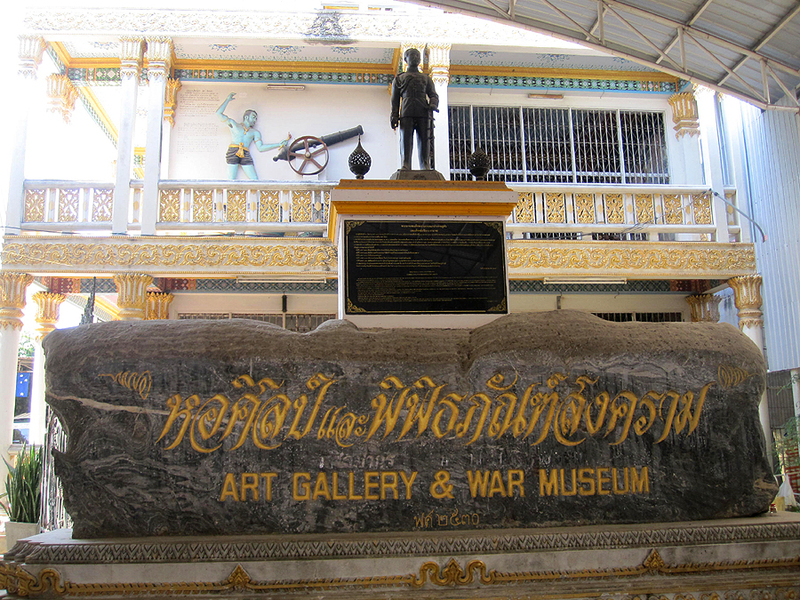 In the museum, an ART GALLERY was set up to keep old stamps, old post cards, rubies and diamonds with many ornaments are shown.